During Monday's call, Mr Trump recognised Gen Haftar's efforts to combat terrorism and secure Libya's oil and they discussed Libya's future. Mr Trump's call suggests he endorses Gen Haftar, unlike some of his allies. Gen Haftar's troops are advancing from various directions on the outskirts of the city and say they have seized Tripoli's international airport. 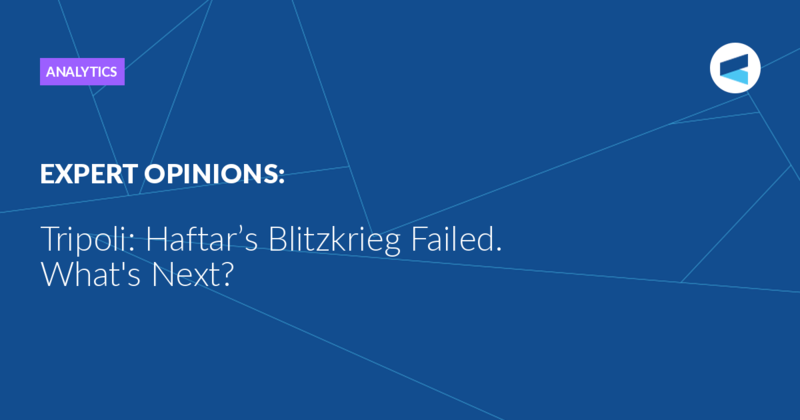 But Gen Haftar's opponents say he would rule the country in a highly autocratic style, our correspondent adds. Russia objected to wording blaming Gen Haftar for the violence while the US did not give a reason, Reuters reported. It was unclear why the White House waited several days to announce the phone call. He said he supported Haftar's "role in counterterroism" and that Washington needed Haftar's "support in building democratic stability there in the region." Asked whether Trump contacted him before calling Haftar, Shanahan said the Pentagon and the White House "are well-aligned on Libya." White House national security adviser John Bolton also spoke recently to Haftar. "One reason behind Trump’s phone call is that Haftar’s army has revealed itself less powerful than the Libyan strongman had claimed," Harchaoui said. 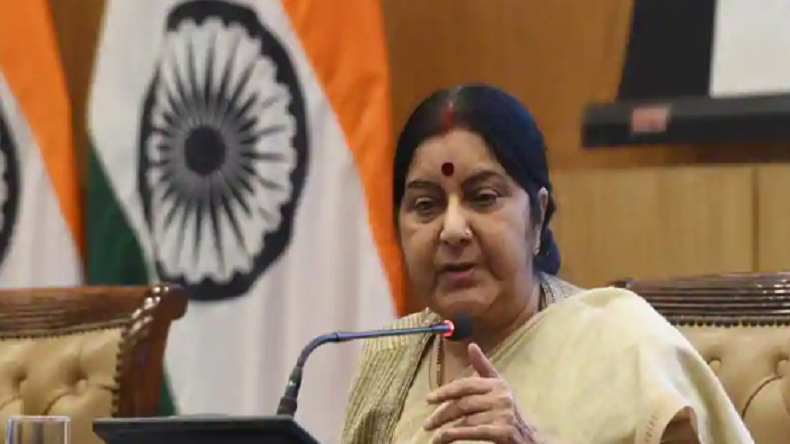 Libya crisis: External Affairs Minister Sushma Swaraj on Friday asked the Indian nationals stuck in Tripoli to leave the country immediately after violence for the Control of the Libyan capital escalated. 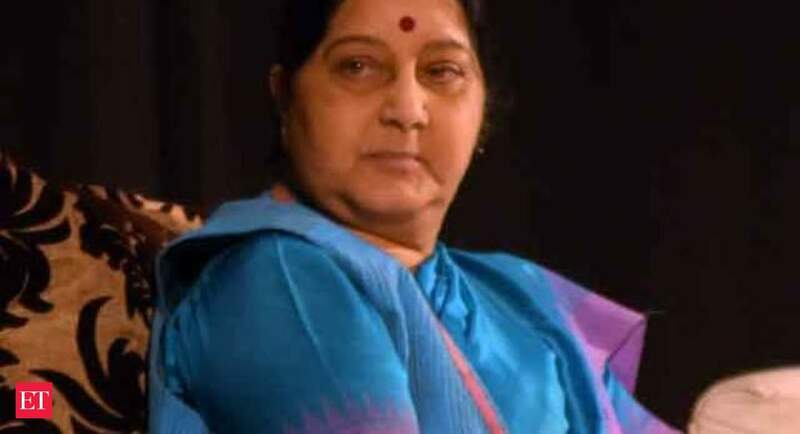 Libya crisis: External Affairs Minister Sushma Swaraj on Friday asked the Indian nationals stuck in Tripoli to leave the country immediately after violence for the Control of the Libyan capital escalated. Sushma Swaraj has posted a tweet asking the Indian nationals to ask their relatives and friends to leave Tripoli immediately. Even after massive evacuation from Libya and the travel ban, there are over 500 Indian nationals in Tripoli. /1 PL RT — Chowkidar Sushma Swaraj (@SushmaSwaraj) April 19, 2019Pls ask your relatives and friends to leave Tripoli immediately. (CNN) President Donald Trump spoke with Libyan general Khalifa Haftar Monday, praising his role in fighting terrorism and securing Libya's vast oil resources even as Haftar's troops continue their offensive against the UN and US-backed government in the Libyan capital of Tripoli. Trump "recognized Field Marshal Haftar's significant role in fighting terrorism and securing Libya's oil resources, and the two discussed a shared vision for Libya's transition to a stable, democratic political system," the White House said Friday in its official readout of the call. 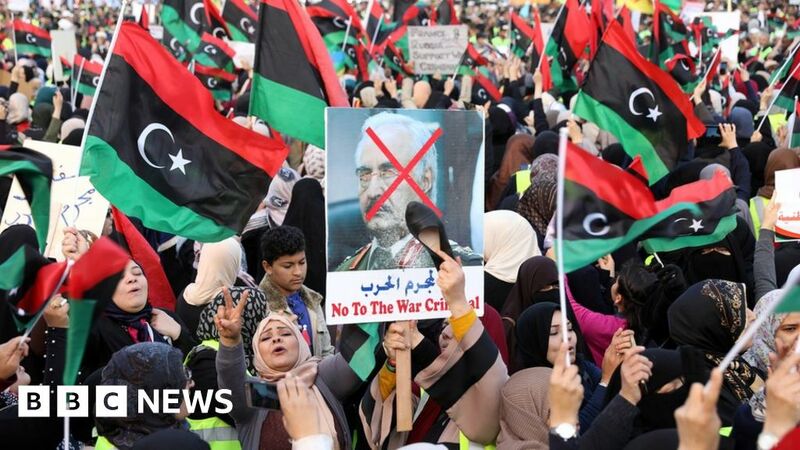 The statement made no mention of Haftar's offensive on Tripoli, and Trump's praise for the rogue Libyan general signals a departure from previous administration statements condemning Haftar's march on the capital. "We have made clear that we oppose the military offensive by Khalifa Haftar's forces and urge the immediate halt to these military operations against the Libyan capital," Secretary of State Mike Pompeo said in a statement issued earlier this month. "This unilateral military campaign against Tripoli is endangering civilians and undermining prospects for a better future for all Libyans," he added. The White House has said that President Donald Trump spoke by phone on Monday to Libyan military commander Khalifa Haftar and discussed “ongoing counterterrorism efforts and the need to achieve peace and stability in Libya.” The statement on Friday said Trump “recognized Field Marshal Haftar’s significant role in fighting terrorism and securing Libya’s oil resources.” The two discussed “a shared vision for Libya’s transition to a stable, democratic political system,” according to the statement. It was unclear why the White House waited several days to announce the phone call, Reuters said. On Thursday, both the US and Russia said they could not support a UN Security Council resolution calling for a ceasefire in Libya at this time. 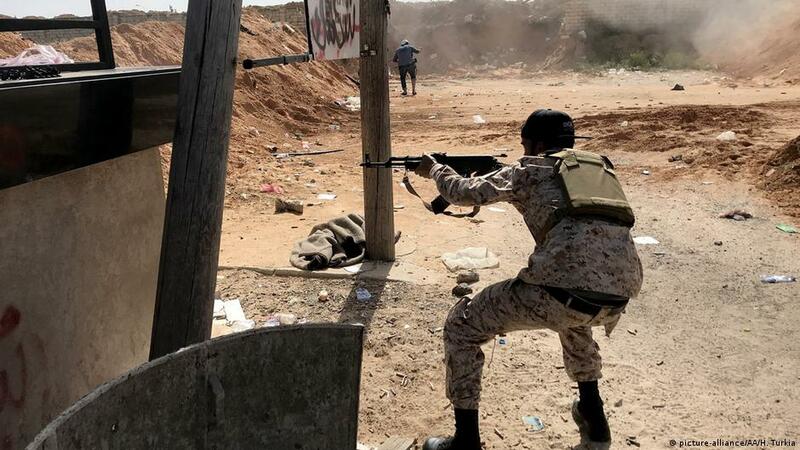 Russia objects to the British-drafted resolution blaming Haftar for the latest flare-up in violence when his Libyan National Army (LNA) advanced to the outskirts of Tripoli earlier this month, diplomats said. External Affairs minister Sushma Swaraj on Friday requested families and friends of over 500 people in Libya's capital city Tripoli to leave immediately amid a emergency situation. In a series of tweets, Swaraj made it clear that despite the massive evacuation and travel ban, there are over 500 Indian nationals in Tripoli. Even after massive evacuation from Libya and the travel ban, there are over 500 Indian nationals in Tripoli. /1 PL RT Chowkidar Sushma Swaraj (@SushmaSwaraj) April 19, 2019"Please ask your relatives and friends to leave Tripoli immediately. Pls ask your relatives and friends to leave Tripoli immediately. 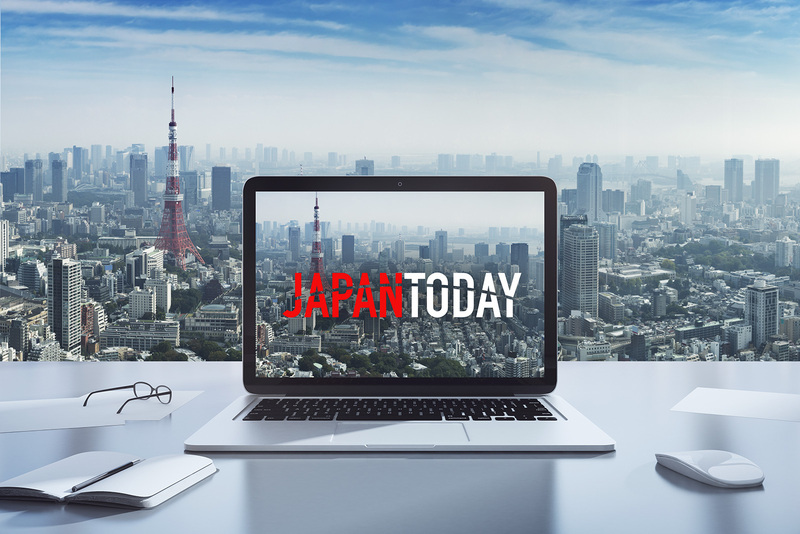 Never miss a great news story! Get instant notifications from Economic TimesAllowNot nowYou can switch off notifications anytime using browser settings. REUTERS/Philippe Wojazer/File PhotoBy Steve HollandWEST PALM BEACH, Fla. (Reuters) - The White House said on Friday that President Donald Trump spoke by phone to Libyan commander Khalifa Haftar and discussed "ongoing counterterrorism efforts" by the leader of a military assault on the capital of Libya in opposition to the country's internationally recognized government. 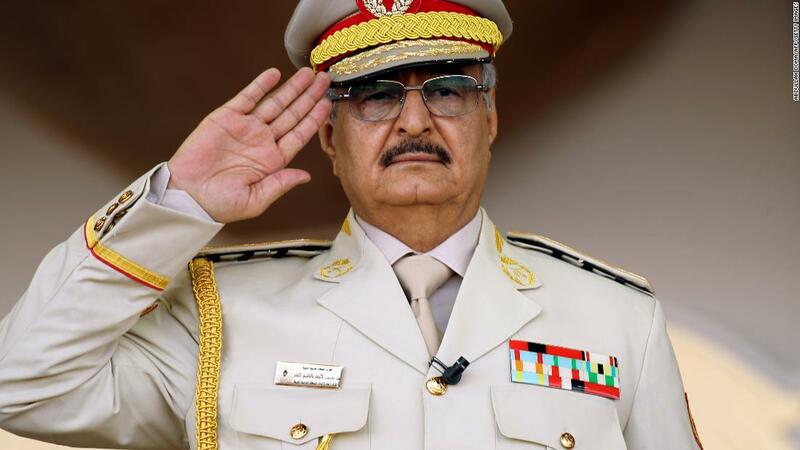 A White House statement said Trump "recognized Field Marshal Haftar’s significant role in fighting terrorism and securing Libya’s oil resources, and the two discussed a shared vision for Libya’s transition to a stable, democratic political system." It was unclear why the White House waited several days to announce the phone call, which took place on Monday. Europe and the Gulf have been divided over a push to seize Tripoli by Haftar's eastern forces. White House national security adviser John Bolton also spoke recently to Haftar. Photo: Forces loyal to Libya's Government of National Accord (GNA) gesture after taking control of the area of... Read MorePls ask your relatives and friends to leave Tripoli immediately. /2 Pls RT — Chowkidar Sushma Swaraj (@SushmaSwaraj) 1555679307000Making sense of 2019 #Electionswithtimes View Full CoverageNEW DELHI: External affairs minister Sushma Swaraj on Friday asked the Indian nationals in Tripoli to "leave immediately" after violence for the control of the Libyan capital escalated. "Please ask your relatives and friends to leave Tripoli immediately. We will not be able to evacuate them later," she tweeted.In the last two weeks, the violence in the city intensified as several groups tried to take control of the capital city, Tripoli. "Even after massive evacuation from Libya and the travel ban, there are over 500 Indian nationals in Tripoli. For them, the developments in Libya create uncertainty, threats and can be too toxic to fathom interfering in it. Tunisia cannot influence the developments in Libya either, while Libya can have a negative effect on Tunisia in terms of the economy, refugees and IDPs. For the Transitional Military Council that assumed power in Sudan after Omar al-Bashir stepped down, the Libyan problem is far from a priority. Against this backdrop, Egypt seems to be most heavily involved in the developments in Libya. Apart from Riyadh and Abu-Dhabi that, just like Egypt, supported Haftar, Washington and Moscow have been following the developments in Libya. THE UN said today it had evacuated 163 refugees from war-ravaged Libya to neighbouring Niger, but more than 3,000 others were still trapped in detention centres affected by clashes. The move marked the first evacuation of refugees and migrants out of Libya since fighting escalated in Tripoli two weeks ago, the UN refugee agency said. Their brutal suppression provoked the intervention of NATO countries, during which the head of state Muammar Gaddafi was overthrown and brutally murdered. Why, despite the intervention of European countries in Libya, does the military conflict continue? The second reason - Libya has ceased to exist as a single state. The fourth reason, the NATO countries after the bombing of Libya didn't participate in resolving the consequences of the intervention. The military intervention of the international coalition forces, mainly NATO countries, sanctioned by the UN Security Council Resolution 1973, adopted on March 17, 2011, declaring the protection of civilians as the goal of armed intervention.